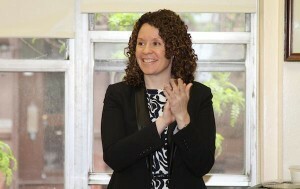 La Salle Academy in New York, New York, has named Kerry Conroy as the school’s new principal effective July 1, 2016. Conroy currently serves as the assistant principal for academic affairs. Conroy joined La Salle Academy in 1999 as a Lasallian Volunteer (LV) where she served as a religion teacher and campus minister. Following two years of service, she rejoined La Salle in 2002 as a guidance counselor and went on to serve as the director of the guidance department until she took on her current role in 2013. Conroy also participated in two formation programs of Christian Brothers Conference: the Buttimer Institute of Lasallian Studies and the former Lasallian Leadership Institute.